Visit the exquisite Makers Workshop to honour Burnie’s history, makers, innovators and artists. Located at Burnie of Australia, this charming place will offer you a number of attractions like art center, museum, Tasmanian exhibitions and souvenir gift shop of timber products & jewellery. You can also try your hands at making creative papers with the local paper makers. Don’t forget to appreciate the famous Wolfgang Seivers, one of the world’s finest photographers for their sepia toned images. If you are done exploring all, check in the local restaurants to entice your test buds with awesome cheese, cake and brewing coffee. Use Burnie trip planner to visit Makers Workshop and many others to your visit. Oomph up your visit by adding the best hotels in Burnie like The Waterfront Wynyard, Beach Hotel and Burnie By The Bay Apartments. Create your own Burnie vacation packages or choose from the ones made by travel experts. Also explore the best ways for how to reach Burnie. Love this? Explore the entire list of places to visit in Burnie before you plan your trip. Fancy a good night's sleep after a tiring day? Check out where to stay in Burnie and book an accommodation of your choice. Very helpful for information on local history and places to visit while in Burnie and surrounds. Great range of local cheese tasting selections and soviners. A great place to discover the history of Burnie. The city of makers! 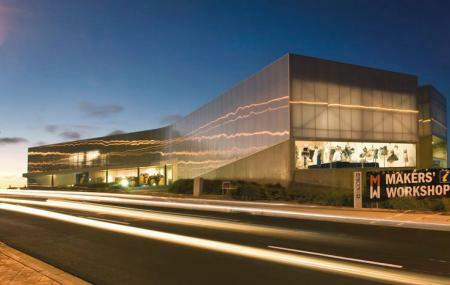 A highlight of Burnie, a place where you can view and purchase local artisans wares. Also has a good tourist information and Papermaking workshop,...Definitely worth doing. Cafe is busy and average price. A must see when in Burnie. Take a paper making tour and see how paper is made. The Makers' Workshop has very helpful and friendly staff, especially Darren on the paper making tour; he's very knowledgeable and passionate about the paper making process and it shows; an asset to the place. You will have the opportunity to ask questions about the process. You also get the chance to make paper at the end, awesome experience.